Cable tramways: 1885 - 26 Oct. 1940. Electric tramways (Doncaster): 1889 - 1896. 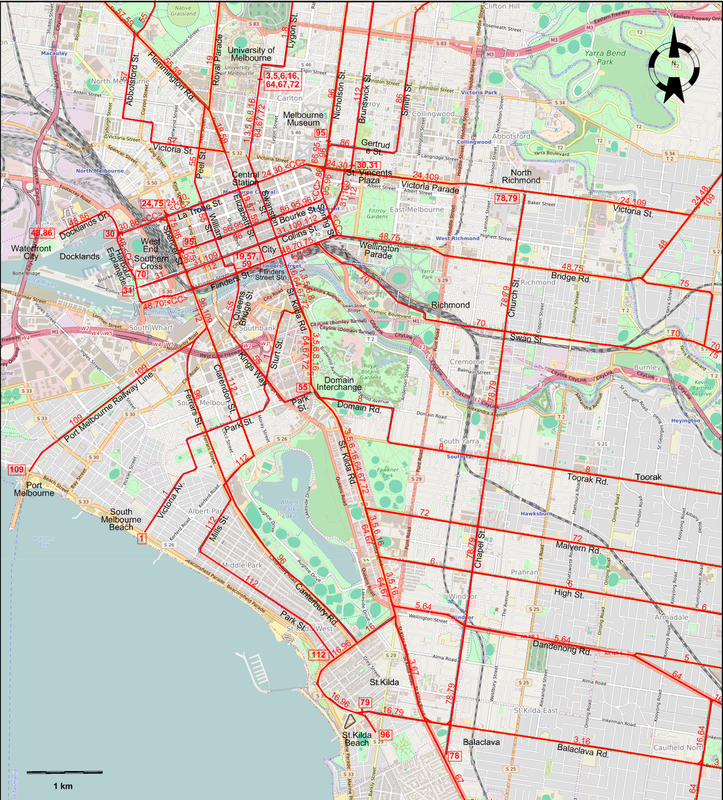 Electric tramways (Melbourne): 7 May 1906 - today. Suburban light railway (Port Melbourne line): 13 Apr. 1854 - 10 Oct. 1987 (converted to electric tramway). Suburban light railway (St Kilda line): 13 May 1857 - 1 July 1987 (converted to electric tramway). Cable trams & Trams: 1435 mm. 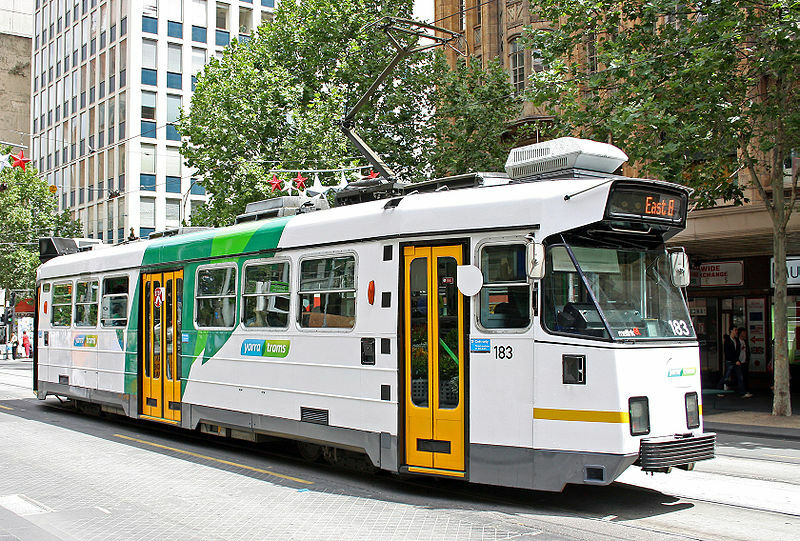 The Melbourne Tram Museum @ Hawthorn Depot houses a large collection of old trams, both from Melbourne and elsewhere. 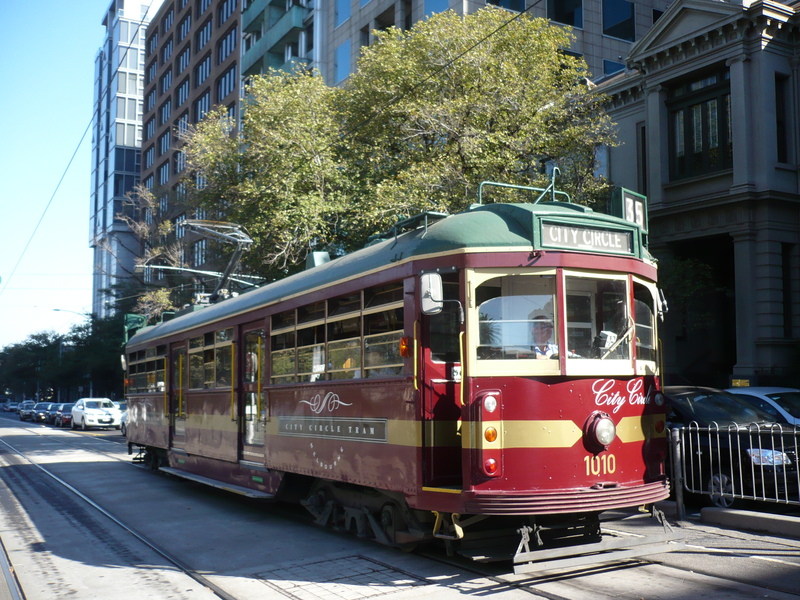 There is also the Colonial Tramcar Restaurant service, which actually offers lunch and dinner on three heritage SW3 tramcars running on city tram tracks. Marshall-Wood, L. "The development of the Melbourne tramways", The Modern Tramway, March 1948 (11:123), p.22,24. "Rebuilding Domain Interchange: Local knowledge meets international technology", Tramways & Urban Transit, June 2014 (77: 918), p.252-254. 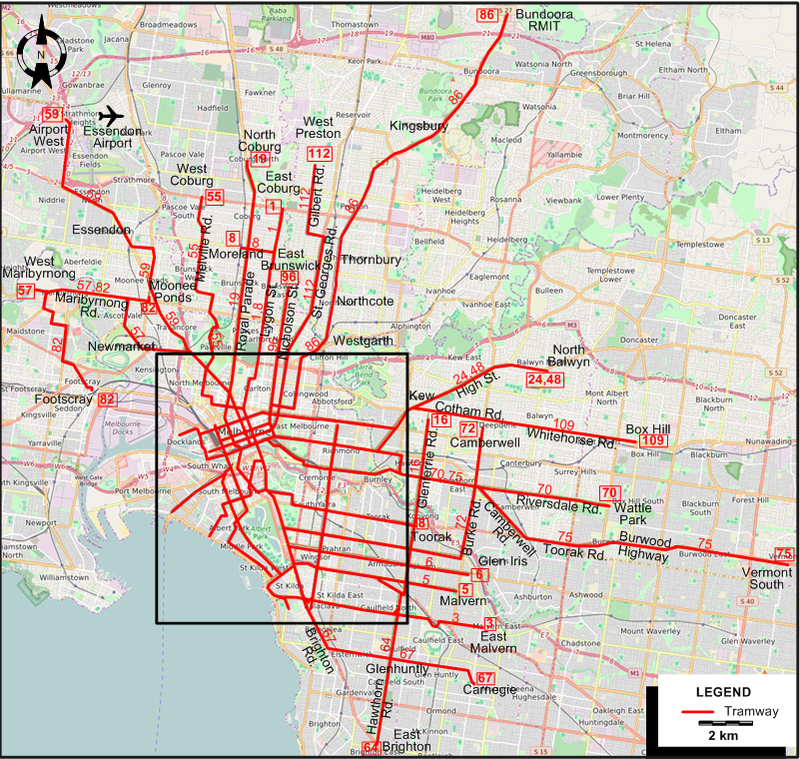 Russell, M. "Melbourne's tramways - moving with the times", Tramways & Urban Transit, Sept. 2010 (73: 873), p.334-338. Wilson, R. & Budd D.. 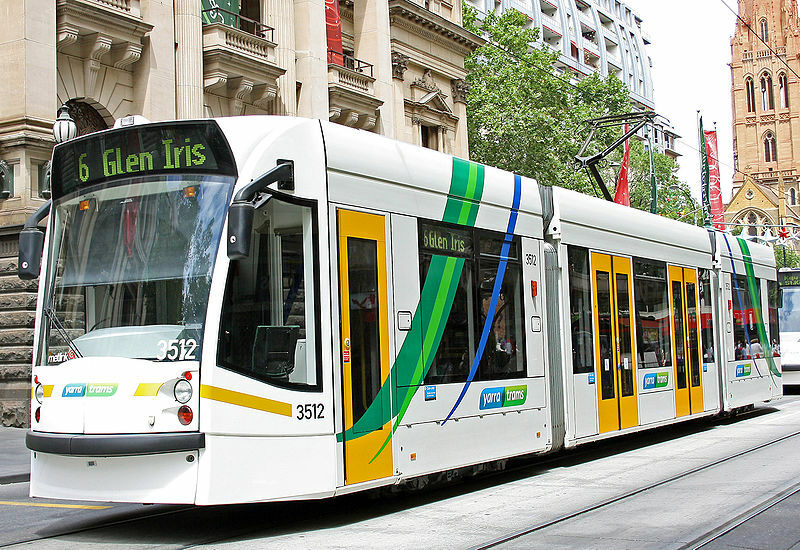 The Melbourne tram book. Sydney: University of New South Wales Press, rev.ed., 2005.